It’s time for a little family fun as Chase and Blake tackle the intricate world of Disney Comics! From their origins at Dell in the 1940s, up to today’s books from Gemstone and Slave Labor Graphics, the guys talk about the history of Disney in comics, some of their favorite stories, what they’re doing right, and what they could be doing better — and their findings just may surprise you. In the picks this week, Chase gives his props to The Walking Dead #44, while Blake has a big belly laugh with… World War Hulk: Aftersmash? We told you guys — this episode isn’t what you’d expect. 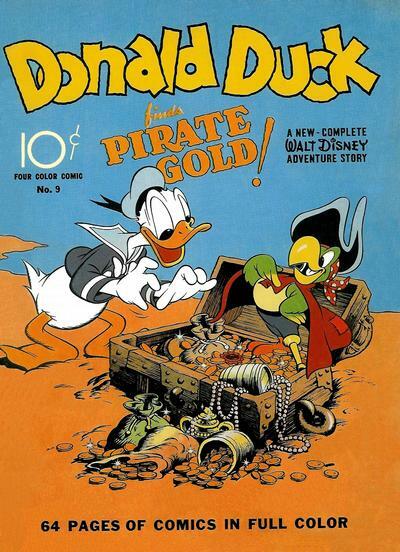 This entry was posted in Showcase Podcast and tagged Carl Barks, Dell Comics, Disney, Don Rosa, Donald Duck, Gemstone Publishing, Haunted Mansion, Mickey Mouse, Slave Labor Graphics, Tron, Uncle Scrooge, Walking Dead, World War Hulk. Bookmark the permalink.